SAN RAMON, Calif., October 24, 2018	(Newswire.com) - Yoga can be a great fitness experience for those who can afford it. Many may be falling in love with yoga because it provides relaxation and flexibility techniques that help with carpal tunnel, lower back pain, arthritis and headaches while still providing traditional fitness benefits like improvements to cardiovascular health. While many Americans have become impassioned with their yoga, many have trouble affording it. Financial Education Benefits Center (FEBC), a membership benefits company, can help make fitness choices a little more affordable for its members with everyday discounts that may enable the yoga habit. Those interested in starting yoga may want to look into cheaper resources that may help with their understanding of yoga. There are a variety of books, podcasts, blogs and videos that can help yoga practitioners of any level for little to no cost. Depending on a person’s location, they may be able to seek free or cheap classes at YMCA or other local areas. This may allow those interested in yoga to begin practicing and learning about without overspending. If a yoga practitioner decides that they want to pursue a paid option for yoga, they may want to look into FEBC membership. Many FEBC members are eligible to receive fitness discounts, which may include yoga. The type of benefit provided will depend on membership tier and location. Members may also save on the purchase of healthy groceries, mats or flexible clothing with the savings on everyday items, which might improve their financial life as yoga improves their physical life. Members at the highest membership tier gain 24-hour access to certified medical professionals via telephone, which members may use to contact a health professional who may be able to help them form their health plan of choice. Through using FEBC’s benefits, members may be able to achieve a better combination of physical and financial wellness. 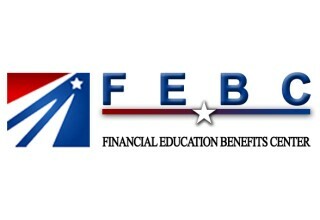 Sign up for email updates from The Financial Education Benefits Center.